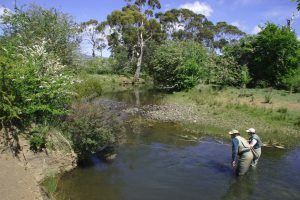 The Tyenna River is a large fast water stream providing excellent fishing for all methods of angling. 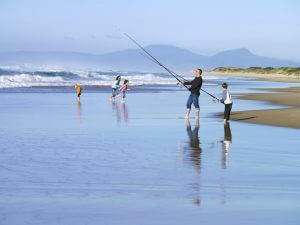 Discover endless fishing possibilities in Tasmania. When someone says "Australia," you're likely to think of bounding kangaroos, hot sunsets and a red desert. But the Tasmanian island broke itself away from the hot and dusty mainland quite a few millennia ago. Now the island sits in the teeth of the Roaring Forties, which brings Tasmania the world's freshest air and bountiful, clean rains. The Southern Hemisphere's weather engine feeds over 3,000 rivers, streams and lagoons across Australia's island state. This makes for some of the cleanest, healthiest, most sustainable fishing on planet Earth. 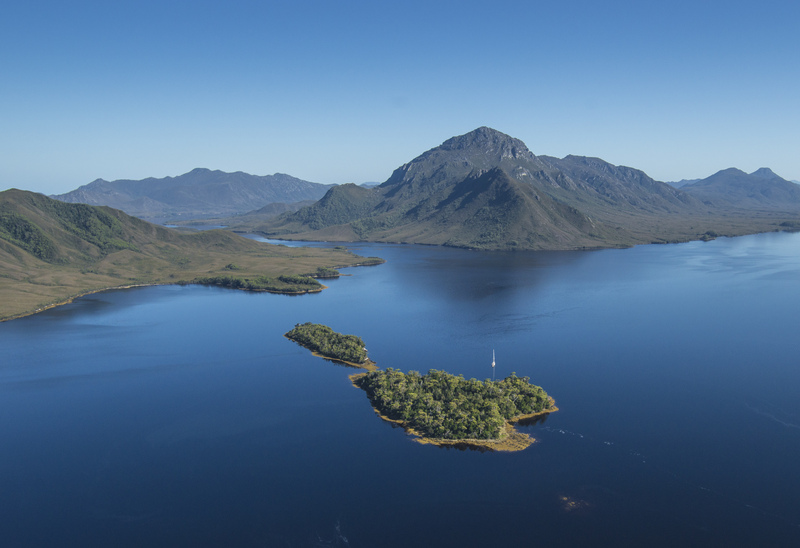 The entire island of Tasmania is disease-free which assists in an annual explosion of wild brown trout. Tasmania's wild brown trout are the purest strain of the fish in the entire world. 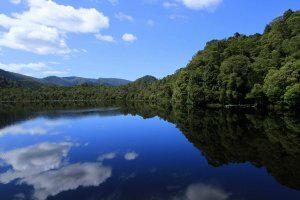 And you'll find these large freshwater fish in the glacial Highlands of the interior all the way to the roaring river mouths of Tasmania's coasts. Image thanks to Tourism Australia & Graham Freeman. At the mouth of the Scamander River on Tasmania's east coast, you'll find a sensational population of sea bream. These flat fish make for a tasty meal and can be caught in abundance in the Tasmanian town of Scamander. 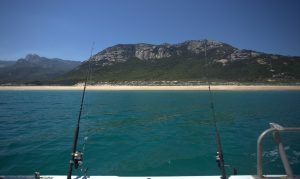 Stretching from Flinders Island in the northeast past St. Helens and spanning all the way down to the Tasman Peninsula, you'll find Tasmania's bountiful game fishing waters. A 20-minute boat ride takes you out to some of the most abundant game fishing waters on the planet. In fact, Tasmania holds 6 world records for the southern bluefish tuna. 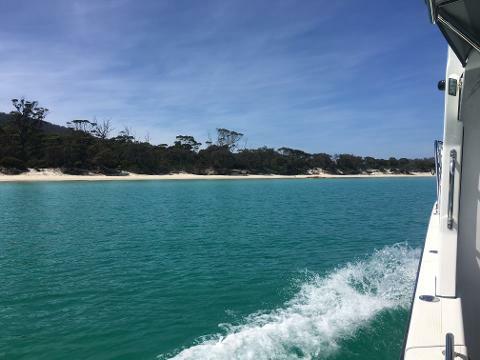 You'll also find that the waters are full of striped marlin, yellowfin tuna, Australian salmon, Garfish, flathead and sea bream. Image thanks to Tourism Tasmania & Glenn Gibson. 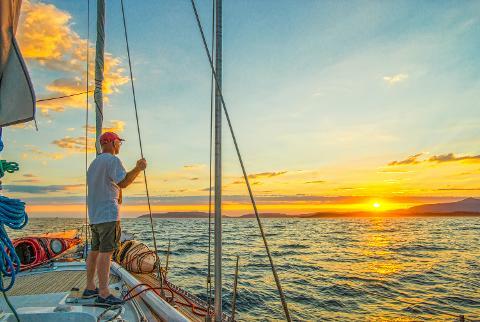 Fishing opportunities are abundant on the Tasmanian island, from lakes carved by glaciers in the Alpine Highlands, to the beaches of the southeast coast. Here are just some of Tasmania's fishing hotspots. St. Helens is Tasmania saltwater fishing headquarters. Located just south of the Bay of Fires on Tasmania's northeast coast, this small town features a sheltered bay and crystal-clear waters. The land and sea around this town are protected conservation areas, making for rich seagrass beds, lagoons and reef systems. You can toss in a line off the town's pier or arrange for deep-sea charter fishing. Anglers often target striped marlin, yellowfin tuna and the Australian salmon in the waters of this beautiful little town. The Tyenna River is a tributary to Hobart's River Derwent. 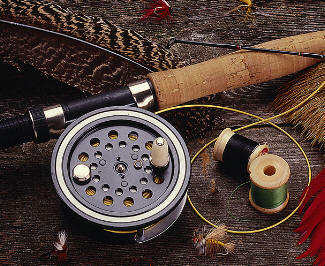 Its fresh water is abundant with rainbow and brown trout and it's where you'll find plenty of fly fisherman. Trout over 5 kilograms are often caught in these waters year round and views of the far-off Mount Field National Park make for a pleasant fishing trip. The Tasman Peninsula, a little more than an hour southeast of Hobart, offers up some of the most spectacular views in Tasmania. You'll also find Pirates Bay, where the massive Southern Bluefin Tuna live. Multiple world record catches have been pulled from these waters, where you'll also have a crack at flathead, Australian salmon and squid. Arthurs Lake is obviously man-made. You'll see large weed beds as well as swaths of dead tree stumps in these crystal-clear waters. But the lake is well-stocked with varying sizes of brown trout. This stillwater trout fishery is perfect for a variety of fishing methods including flyfishing, bait fishing and lure fishing. Four Springs Lake is a shallow lowland body of water perfect for boating and wading. Another man-made lake, it was created when 4 creeks were damned in the late 1990's. Abundant with rainbow and brown trout, this Stillwater Lake is perfect for bait, lure or flyfishing methods. 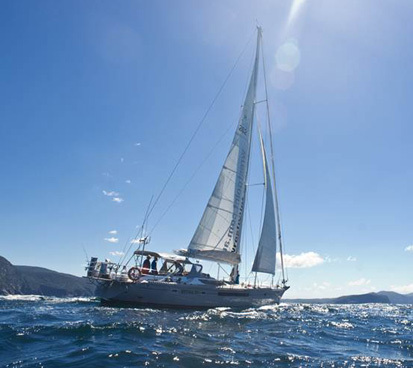 Image thanks to Tourism Tasmania & Warren Steptoe. 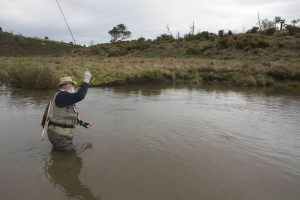 Most of Tasmania's inland waterways are open for brown trout season, which spans from the first Saturday of August to the last Sunday of April. A fewer number of inland waterways are open for rainbow trout season which starts on the first Saturday in October and ends on the last Sunday of May. And there are 14 inland waterways that stay open year-round. Summertime is great for saltwater fishing. Sea bream spawn in early summer while calamari and tuna are abundant in late summer. Trumpeter Perch and Morwong can be caught in the ocean off the east coast year-round. Essentially, the winter months of May, June and July see inland protections enforced for brown trout spawning season. But man-made lakes and trout fisheries are still open year-round. There's really no bad time to come to Tasmania on a fishing trip. Image thanks toTourism Tasmania & Warren Steptoe. The Tasmanian government requires you to have a fishing license to fish in all inland waterways. You can fish without a license if you are under the age of 14, a part of a registered private fishery or are in specified sea bream waters. Image thanks to Tourism Tasmania & Shane Mensforth. Most inland waterways are open to lure, fly and bait fishing at the beginning of August and close at the end of April. Each inland waterway has a bag limit of 12 fish per day and you'll have to measure each fish that you catch. If it's under 220 mm in length, you'll have to throw it back. 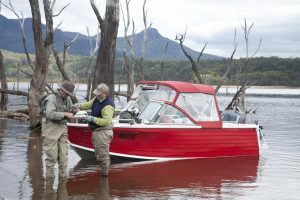 You can purchase a fishing license through a commercial fishing business or directly from the Tasmanian government's Inland Fisheries Service. 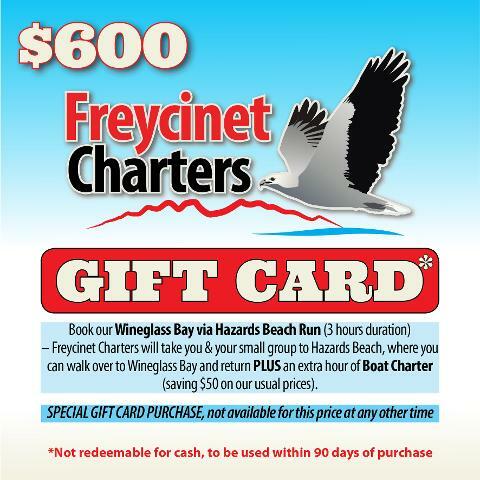 Over 25,000 people fish the inland waterways of Tasmania each year, and many of them join a tour group. 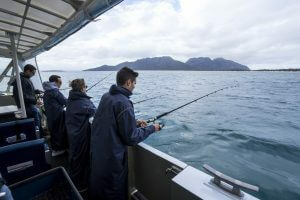 A tour group ensures that you'll be fishing lawfully and that you'll be fishing in Tasmania's most abundant waters. 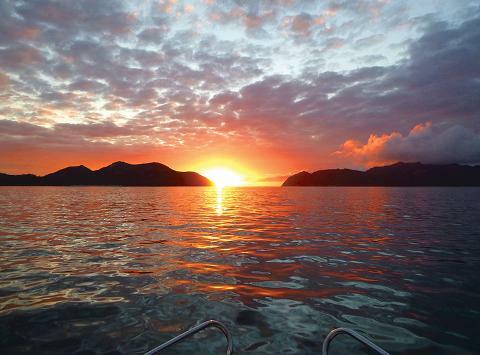 And with an islandwide commitment to preservation, you can rest assured that your fishing will also be sustainable. Tours can take you to the Alpine Highlands in the central part of the island all the way to the deepest blue waters of the Pacific Ocean. 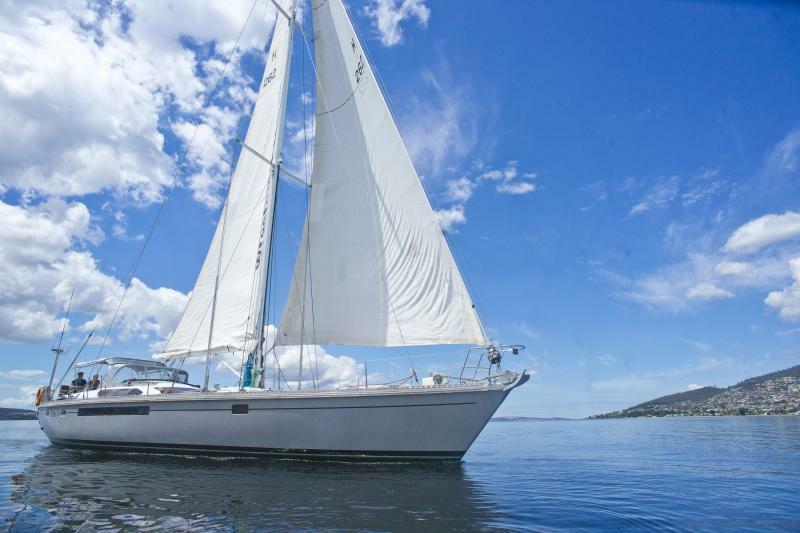 You can arrange charter fishing in nearly every large coastal town on Tasmania, but the waters are especially abundant on the east and southeast coasts. Image thanks to Tourism Tasmania and Heath Holden. A personal charter by boat to Hazards Beach, walk through to Wineglass Bay via the Isthmus Track & return.